Karting has long been recognized as the purest form of motorsports. In a kart, the driver is at one with the track, fueled by adrenaline and wheel to wheel with their competitor. With a wide range of classes, there is a place in karting for everyone, from weekend warriors to tomorrows NASCAR, Formula 1 and IndyCar stars. 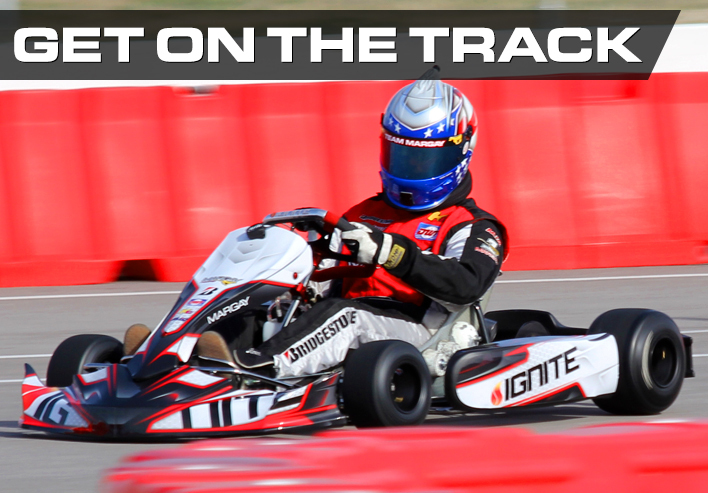 From 5 to 75, drivers of all ages head to tracks across the country every weekend to experience a sensation that is only available in the seat of a kart. We'll have more information soon on how you can get started in karting but in the meantime please contact a dealer in your area or contact us and learn how you can get started in karting today.